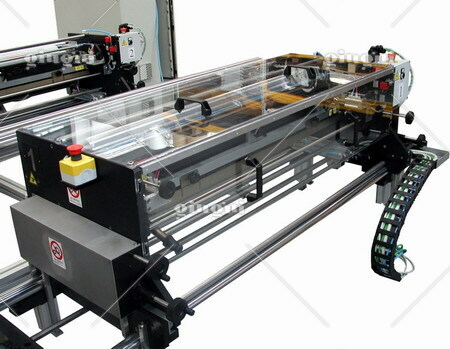 The Miniflex 503-1’050 is equipped with a double motorization, one for the ceramic anilox roller and another for the printing roller. 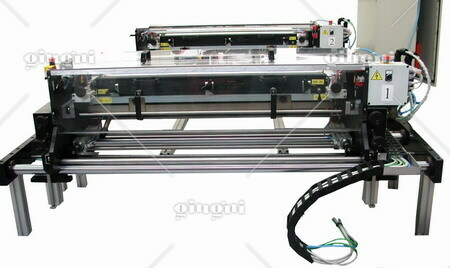 As a consequence, it is able to print different repeats set by the control panel without changing the printing roller. 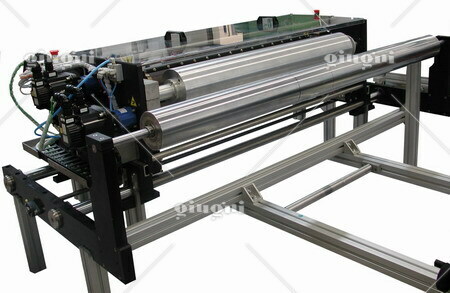 That allows changing the printing repeat very easily and quickly. Moreover, the inking system with laser engraved ceramic anilox roller and closed chamber makes easier the operations of cleaning and colour change. 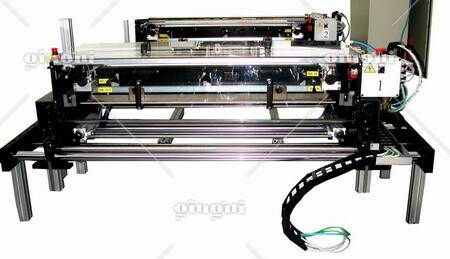 The printing area of 1’050 x 560 mm and the max. 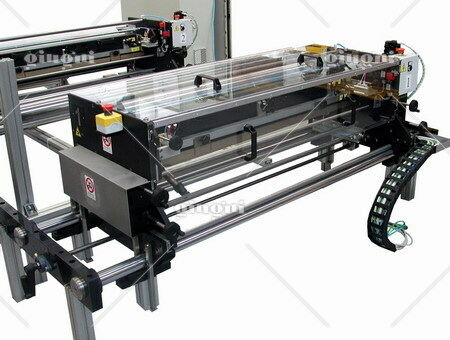 working speed of 70 m-min are some of the other technical features of this practical and ideal solution for printing in-line large surfaces, especially when it is necessary changing printing repeats very often.Ink feeding with ink recirculation system consisting of a 15 or 25 litres bin placed on a wheeled trolley, pneumatic pump, and fast connection pipes. Complete with electro-pneumatic logic.